Little Eaton Parish Council provides your local services. We strive to make Little Eaton a better place to live, work and play. Our website includes a wealth of information about how we conduct business and what we do. Use the search or browse the site to find whatever you are looking for. If you can't find the information you require then please contact us. Keep up to date with the Little Eaton Neighbourhood Plan. Significantly, at impact speeds above 35 mph, most pedestrians suffer fatal injuries. Between 17.00 – 18.00 on Tuesday 9th April, six volunteers performed a Community SpeedWatch (CSW) at the junction of Morley Lane with Alfreton Road (B6179). Of 865 vehicles passing the location during the watch period, 11% were speeding with 18 vehicles travelling over 35mph. One driver was seen using a mobile phone. Not only is this an offence, drivers are 4 times more likely to have an accident while using a mobile phone while driving. This is the first CSW at this location since the installation of the Vehicle Activated Sign (VAS) near Jack O'Darley Bridge. Sadly there doesn't appear to be any impact which is really disappointing. The CSW is performed with delegated responsibility from Derbyshire Police, which provide the equipment and full training. The Community Speed Watch Programme is performed by volunteers who live in the village and who try to regularly monitor the speed of vehicles travelling through. 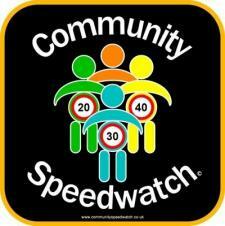 If you are able to help by volunteering or if you want to set up a Community Speedwatch around where you live please get in touch via the Parish Council Clerk – clerk@littleeatonparishcouncil.org.uk . It is easy to do and involves committing as little as an hour of your time when convenient to you.